The holidays can be a stressful time with family get-togethers (sometimes altercations because let’s be real), planning, gifts, and end of year pushes at work to make your numbers for 4Q. All these external stressors can inevitably lead to inflammation, which if you’re acne-prone, leads to breakouts. 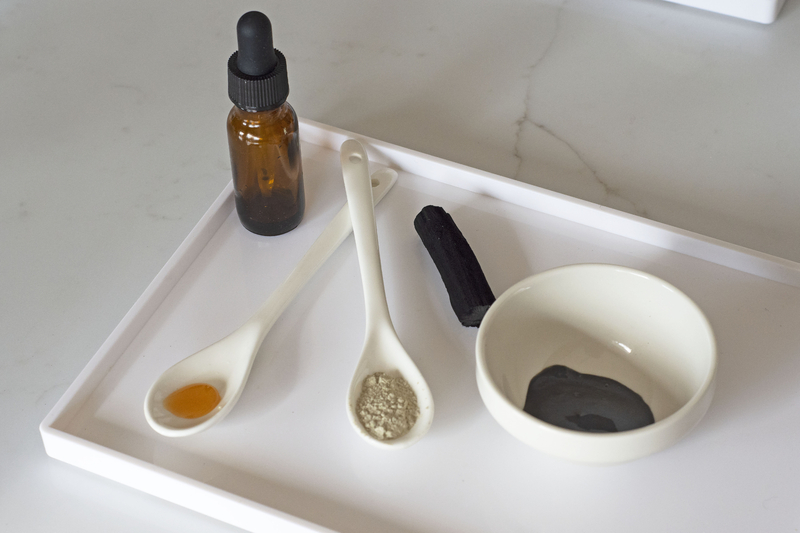 Here’s a simple, non-irritating DIY Charcoal Face Mask that you can make right at home. Bentonite Clay – a type of clay derived from volcanic ash, Bentonite Clay draws away all the excess oil from skin, while also helping to reduce inflammation. Activated Charcoal Powder – oil balancing, with detoxifying properties that can bind to and draw out impurities. Tea Tree Oil – some clinical studies have shown that Tea Tree Oil is just as effective as Benzoyl Peroxide when it comes to treating acne. Antiseptic, and antibacterial, Tea Tree Oil helps reduce the number of blemishes while calming redness. Manuka Honey – another natural antiseptic, with antibacterial and anti-inflammatory properties, Manuka Honey has been shown to kill bacteria while being extremely gentle and soothing for skin. In a small bowl combine 1 teaspoon of the Bentonite Clay and 1 teaspoon of Activated Charcoal Powder. In a separate bowl, combine two or three drops of Tea Tree Oil with about 2 teaspoons of clean, preferably distilled water. Pour the combined Tea Tree Oil and water into the Bentonite Clay and Charcoal Powder bowl while mixing simultaneously. Add a half tea spoon of Manuka Honey and mix thoroughly. The final product should be a dark grayish-black color, and the texture should not be too watery. Be sure to let us know how your face mask turned out for you!